“If you don’t like me, avoid me, I am a drunkard”. This sentence is to be found at the entrance of the saint’s shrine. 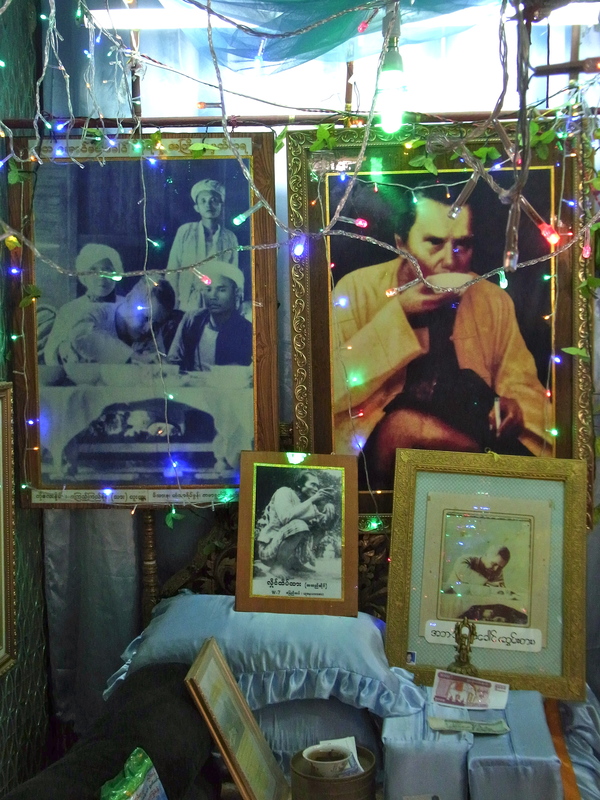 Nat are in Burmese culture somewhat similar to what saints are in Western cultures. Myself not being the biggest fan of saints, I was nevertheless attracted by this guy, after reading a couple of lines on him in my pocket guide. Lines in which the sentence “If you don’t like me, avoid me, I am a drunkard” was included. I felt I had to pay him a sincere visit, to thank him of protecting me and helping me being happy during.. well, drunk nat –> drunken nights. Lord Kyawswa is his name and he was born in Popa. His altar tops Mount Popa (quite a cool place not far from Bagan, look at the pic) where he shares visitors’ peeps and believers’ praises along with some 30 other Nats. During his life he spent years drinking, smoking gambling and so on and, since he died of an “unfair” death, he became a Nat. He now protects me, along all of you cheap drinkers and gamblers. That is his duty. You can visit him and thank him by leaving a little gift. What is already there can help you choose what to bring: the altar is surrounded by local distilled drinks, some foreign whiskeys and rums, cigarettes, cigars, and $$. PS. 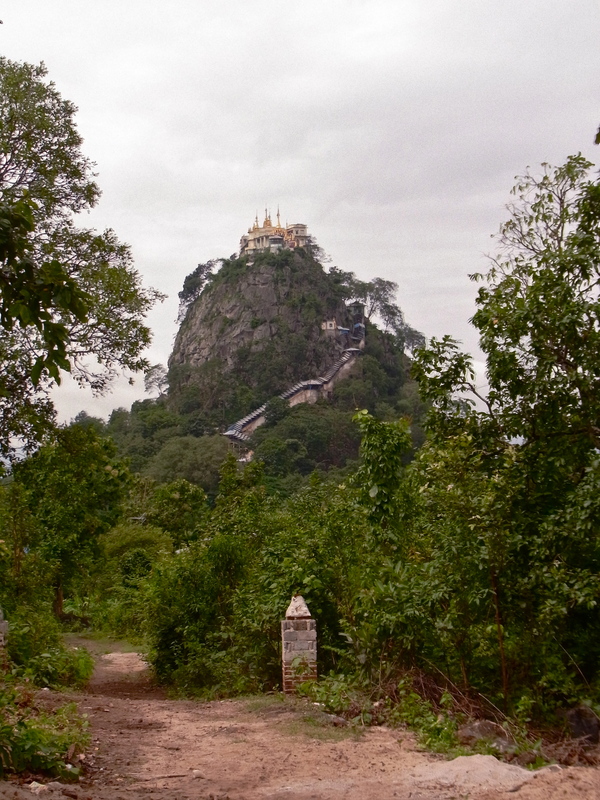 The stairs to reach the shrines on top of Mt Popa are often covered in moneky’s poo. Beware of this, since you’ll have to walk barefoot in order to show respect. Also, monkeys can get quite aggressive/steal your things. Thugs. Evolution.